Asiad Steels is one of the known exporters, manufacturers and suppliers of Alloy 20 Nuts, which has excellent resistance to general corrosion, pitting, and crevice corrosion in chemicals containing chlorides and sulfuric, phosphoric, and nitric acids. Application of Alloy 20 Hex Nuts could result in real cost savings when carefully compared to higher-cost alloys to determine if the necessary resistance is obtained in the chosen media. Alloy 20 Heavy Hex Nuts also contains niobium for stabilization against sensitization and resultant intergranular corrosion. In Alloy 20 Lock Nuts, restricted carbon plus columbium stabilization permits welded fabrications to be used in corrosive environments, normally without post-weld heat treatment. Alloy 20 Self Locking Nuts appears to fall between both the stainless and nickel categories as it contains characteristics of both. 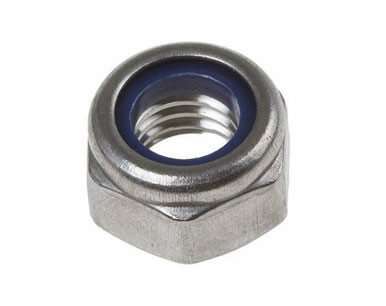 We supply Alloy 20 Nylon Insert Nuts for a variety of applications and will help in determining the precise amount for your current project. Although the alloy was designed for use in sulfuric acid related industries; Alloy 20 Coupler Nuts finds wide usage throughout the chemical processing industry. 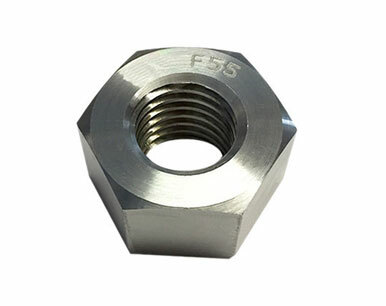 Carpenter 20 Hex Nuts is often chosen to solve stress corrosion cracking problems, which may occur with 316L stainless. Our support of the power & process industry is reflected in the specialty grades of Carpenter 20 Lock Nuts that we inventory to support outage & maintenance requirements. For time-critical orders, the team are dedicated to processing and dispatching orders on the same day, even for cutting orders on products. Buy Carpenter 20 Nuts at reasonable rates from us. 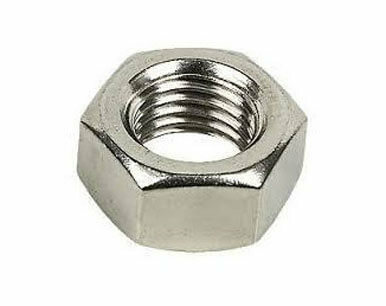 We are Exporter of Alloy 20 Nuts in Worldwide Such as India, Iran, Romania, Yemen, Argentina, Oman, Libya, Singapore, Brazil, Trinidad & Tobago,Tunisia, China, Azerbaijan, Namibia, Saudi Arabia, Lithuania, Poland, United Kingdom, Thailand, Denmark, Finland, Russia, Mexico, Bhutan, Iran, Jordan, Malaysia, South Korea, Indonesia, Chile, Peru, Netherlands, New Zealand, Costa Rica, Gambia, Serbia, Kenya, South Africa, Nepal, Ireland, Gabon, Tibet, Belarus, Australia, Ukraine, Algeria, Afghanistan, Canada, Sri Lanka, Spain, Colombia, Hungary, Nigeria, Bahrain, Ecuador, Angola, Puerto Rico, Portugal, Israel, Croatia, Estonia, Mongolia, United States, India, Taiwan, Nigeria, Switzerland, Vietnam, Norway, Lebanon, Qatar, Turkey, Czech Republic, Egypt, Greece, Mexico, Poland, Ghana, Japan, Bolivia, Kazakhstan, Pakistan, Sweden, Austria, France, United Arab Emirates, Slovakia, Bangladesh, Philippines, Venezuela, Bulgaria, Morocco, Belgium, Kuwait, Macau, Italy, Germany, Zimbabwe, Hong Kong, Iraq, Chile. We are Suppliers of Alloy 20 Nut in India Such as Mumbai, Algiers, Haryana, Singapore, Noida, Brisbane, Los Angeles, Aberdeen, Tehran, Atyrau, Jaipur, Toronto, Chennai, Seoul, Chiyoda, Pune, Lahore, New York, Thiruvananthapuram, Howrah, Muscat, Dallas, Ankara, Hanoi, Bangkok, Bogota, Kuala Lumpur, Manama, Baroda, Kolkata, Dubai, Hong Kong, Pimpri-Chinchwad, Nagpur, Ludhiana, Ahvaz, Rio de Janeiro, Jakarta, Secunderabad, Rajkot, Ahmedabad, Al Jubail, Riyadh, Chandigarh, Kanpur, Bengaluru, Cairo, Bhopal, Petaling Jaya, La Victoria, Mumbai, Santiago, Houston, Ho Chi Minh City, Jeddah, London, Istanbul, Navi Mumbai, Colombo, Hyderabad, New Delhi, Geoje-si, Sydney, Al Khobar, Indore, Perth, Moscow, Nashik, Gimhae-si, Surat, Thane, Ernakulam, Sharjah, Faridabad, Doha, Abu Dhabi, Caracas, Port-of-Spain, Vadodara, Gurgaon, Karachi, Lagos, Coimbatore, Melbourne, Edmonton, Ranchi, Montreal, Ulsan, Courbevoie, Madrid, Dammam, Vung Tau, Milan, Busan, Calgary, Jamshedpur, Visakhapatnam, Granada, Kuwait City, Mexico City.